In writing about the first season of Game of Thrones, I compared the popularity of the show to Lost. HBO’s fantasy drama is a great conversation piece and if you’re making small talk with some guy in the office or a person you’ve just met at a BBQ, chances are you can probably bond over a discussion recapping what happened on Game of Thrones that week. I think the two shows are just about matched in terms of their pop culture impact. Where the two shows probably start to veer apart is Season 3. Lost began to chase its own tail in Season 3 and the mainstream audience started to become frustrated with the lack of answers the show was offering up. What’s the story with the polar bear? Who are The Others? Why doesn’t Kate just pick one of the guys and stick with them? 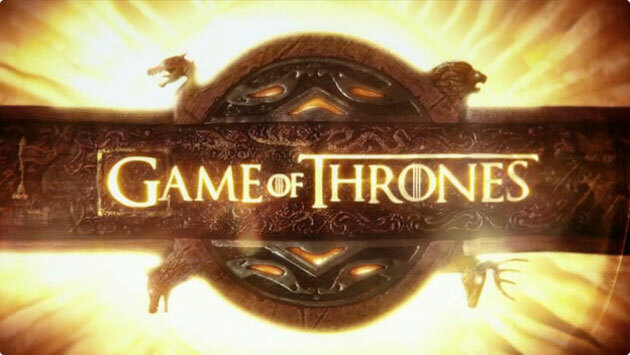 Game Of Thrones on the other hand, has done a reasonable job keeping a sense of progress and purpose to the proceedings and this is reflected in its strong viewership which continues to increase with each season. Part of the show’s notoriety and appeal is that anyone could die at a given moment but having said that, I think the audience has a certain threshold for what they won’t stand for. The two most important narrative strands out of the twenty or so that intertwine in a given season are Arya Stark’s retribution against Joffrey for her father’s death and Daenerys Stormborn’s all conquering dragon army returning to King’s Landing. I haven’t read the books so I don’t know how either story pans out but I think if either story doesn’t reach a satisfactory conclusion, the lion’s share of the show’s viewership would move on, such is the weight of investment in these two characters. Looking back on Season 3, I was pretty happy with how it played outand found something to enjoy in every episode. If Season Two had a recurring motif whereby all the major characters fell in love and got shacked up together, Season 3 was all about odd-couple partnerships which is hugely appealing to me. Jaime and Brienne, The Hound and Arya, Ser Davos and Shireen, Bronn and his Scooby Gang…I’m probably forgetting some but you get the idea. I could happily watch an entire spin-off series about The Hound and Arya traveling the countryside and bickering incessantly with one another as they kill inept guards who speak out of turn. The quality of acting remains a highlight in the show and the best work in usually found in King’s Landing where most of the political skullduggery takes place. The small court is a fantastic setting where each character has a designated title in the hierarchy of the establishment and yet the power of knowledge and relationships trumps all. Some of the season’s best moments came from the interactions between Tywin and Joffrey. The latter is officially king but remains petulant and childish. Charles Dance who plays Tywin does a fantastic job of using deferrential language to Joffrey to placate him and yet he uses tone and body language to make it clear that when he offer’s guidance, he’s telling, not asking. If there’s one thing that occasionally bogs down Game of Thrones, its that the show doesn’t ever really have any self contained episodes. So unless something significant happens in an episode, it can sometimes feel like you’ve witnessed a fraction of a ten hour long movie. If I remember rightly, “Second Sons” suffers the worst from this. I wouldn’t mind if in future seasons they introduced some smaller self contained stories in amongst the bigger, series-spanning ones. A precedent seems to have been set however, that Episode Nine of every season has a big monumental event that gets everyone talking and in that regard, Season 3 doesn’t disappoint. 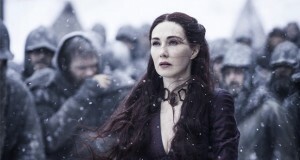 “The Rains of Castamere” is a brilliant episode that will be remembered as a highlight in the series. Major characters are bumped off with gleeful abandon and in brutal fashion. I watched the final five minutes of that episode with my jaw agape. After the show seemed to be settling into a pattern that the audience was becoming comfortable with, that episide certainly turned things on its head in the best way possible. And now we wait. At least at the end of Season 2, we had a confirmed date to look forward to for the next season, however far away it seemed. The start of Season 4 for now, is “TBA”. Jack Gleeson is amazing as Joffrey Baratheon but apparently he intends to quit acting and pursue an academic career after GoT. Shame. Maisie Williams who plays Arya Stark posts some pretty funny and random snippets on social media. This is my favourite picture of Samwell Tarly. Dude is destined for the Iron Throne one day. One of the best intended comedic gags on the show is the incredible sexual prowess of Podrick. The worst part of Season 3 was the never-ending torture scenes with Theon Greyjoy that never went anywhere. Although I would love it if his sister rescues him, takes him home and then sticks him on her own torture rack. What happened to the youngest Stark? I’m pretty sure there was supposed to be another one? Margaery Tyrell is a stone cold fox. The youngest Stark is Rickon – he was travelling with Bran but left with that wilding/carer (Osha?) when Bran and his seer mate sent him off when they said they were going north past the wall. Don’t think we’ll see much more of him for quite a while. They help plug the gaps in GoT knowledge if you haven’t read the books. So much love for Natalie Dormer.